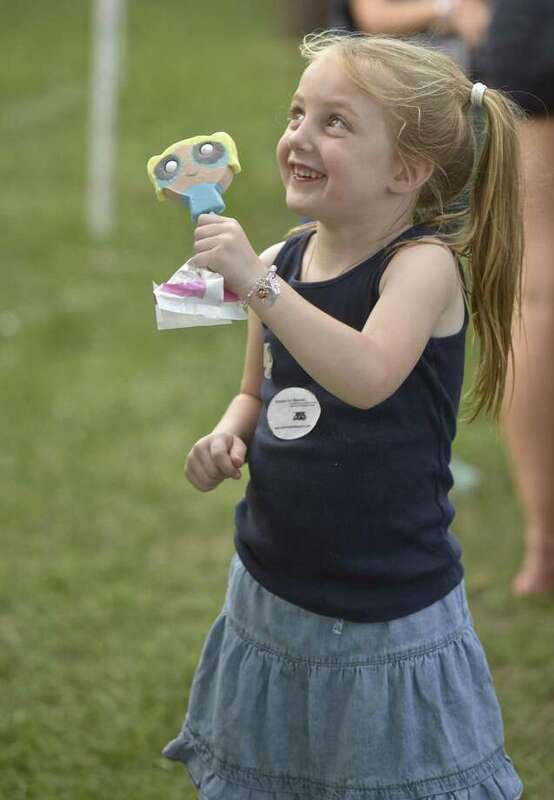 Maddie Ritter, of Woodbury, shows her Powerpuff Girls ice cream bar to her mother, Alix. The Greater New Milford Chamber of Commerce hosted its 51st annual Village Fair Days July 27-28 on the Village Green in New Milford. An opening ceremony, featuring a ribbon cutting and the crowning of the king and queen, kicked off festivities July 27. Other offerings featured at the two-day fair included live entertainment, bingo, bouncy houses, a food court and almost 200 vendor and community booths. In addition, a children’s fun run took place as well as the annual 8-Mile Road Race and 5K.